Leatt’s DBX Race gear is sharp looking kit whether you’re lined up at the gate or flying down the local trails. 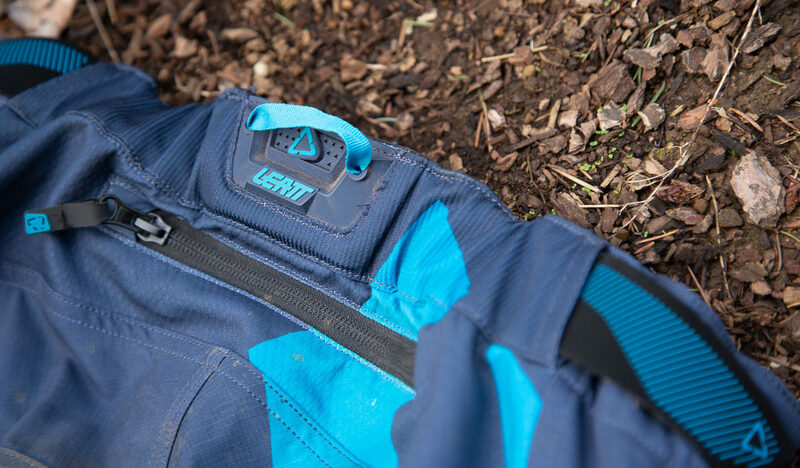 Leatt dispatched a set of their 2019 cool riding kit to try out last fall. Arriving in December, it’s often a crap shoot on whether I’ll actually use it, as our trails turn from muck to being covered in snow this time of year. 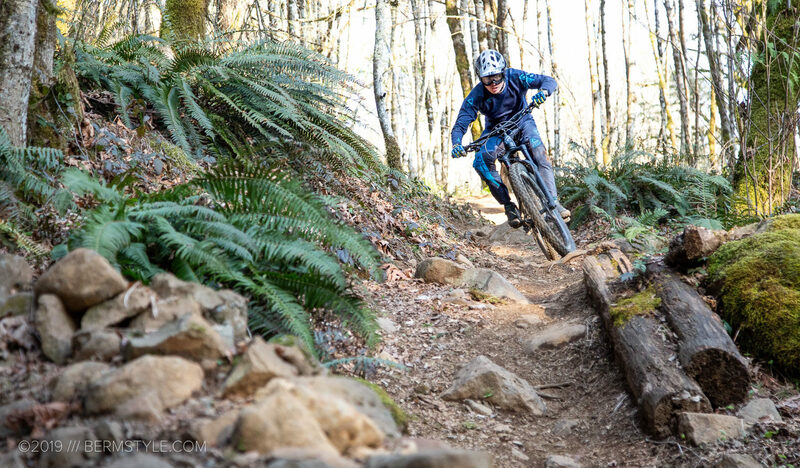 Fortunately (or not) thanks to a changing climate we’ve had some amazing riding riding here in the PNW. 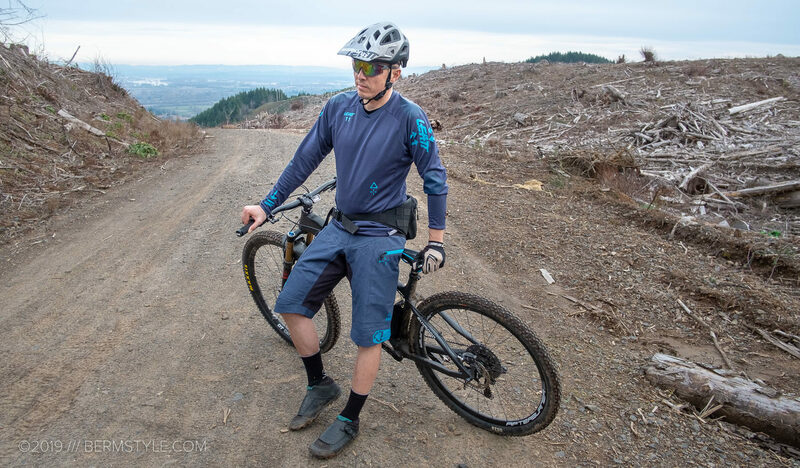 Between the Leatt midweight long sleeve jersey, waterproof shorts, race pants, and the updated jacket, I’ve had a lot of options for riding in comfort. 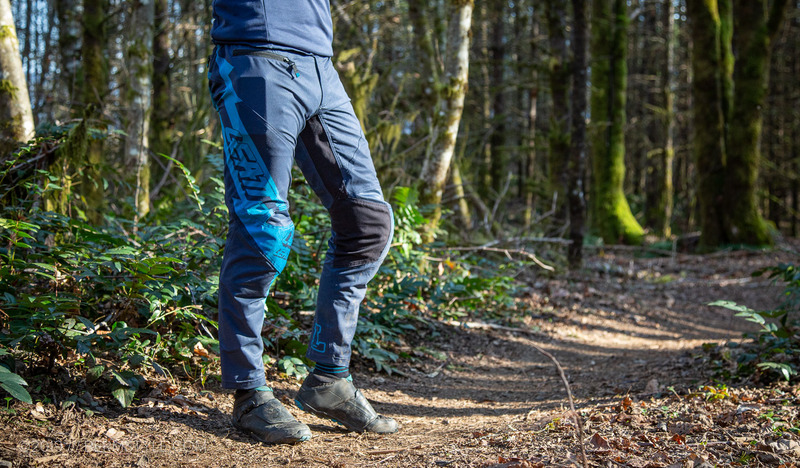 The 4.0 Race pants have plenty of stretch for aggressive trail moves. Once mainly seen used for DH and BMX, they also are pretty great for session style trail riding. The vented four-way stretch material doesn’t hinder or restrict or hinder mobility in any way. 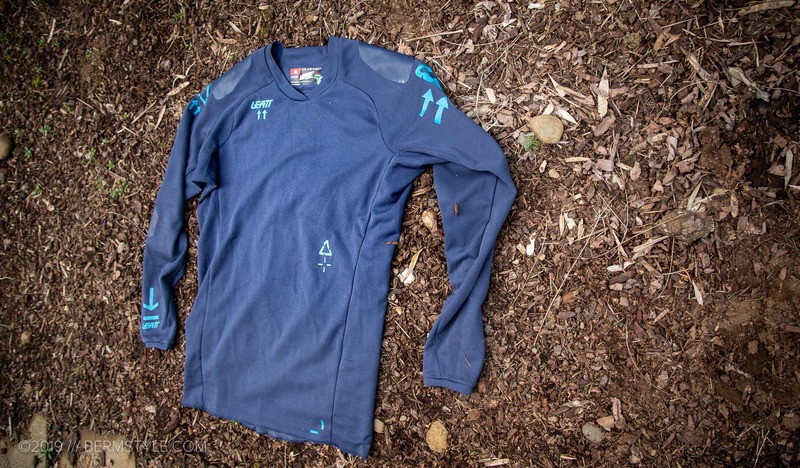 The DBX 5.0 All Mountain jersey is a mid-weight number featuring wind block material in the chest. Breathable materials and a moisture-wicking back aid in keeping one from overheating. Pair the DBX 5.0 jersey with the jacket and you’re set for cold riding conditions. I found it to be a solid combo for shuttle runs, warming up fast. For high-intensity xc rides though, the midweight materials of the jersey with the windblock can almost be too much paired with the jacket. As our winter conditions are often humid I ended up running one or the other, pairing the DBX jersey with a vest or light windbreaker on dry days. 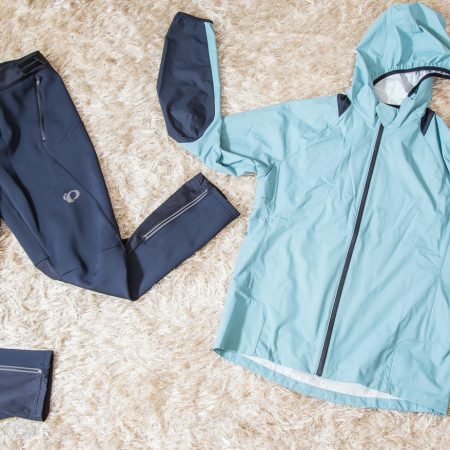 A windbreaker is easy to pack in a waist pack, so bonus there. 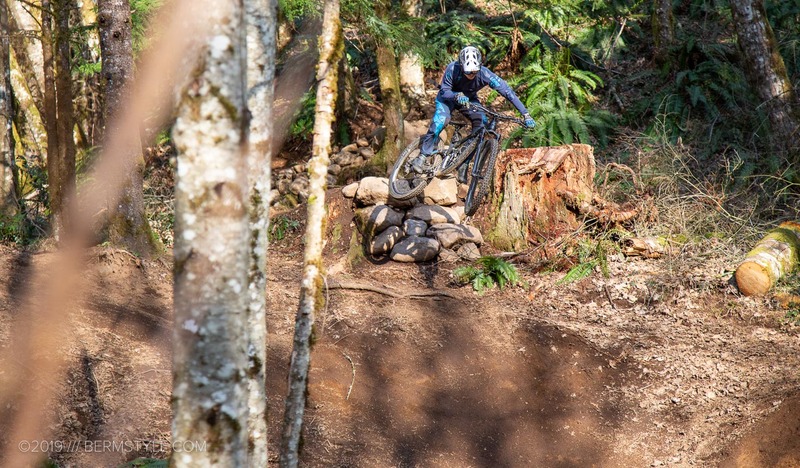 Loamy trail riding in the PNW woods. The jersey features material on the shoulders to help keep the pack in place, which also reduces pilling. I don’t often wear a pack these days, but this is a nice feature, as my main complaint with packs – besides the weight – is having stuff slosh around, and anything to keep things close and snug is a win. 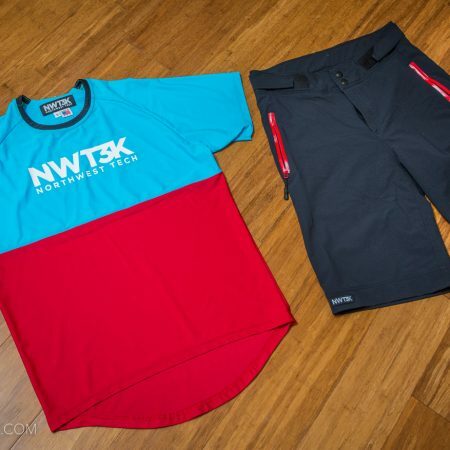 There is something about a matching kit that makes one feel like a trail superhero. Migrating away from my go-to black on black choices takes this to the next level and the Leatt kit is dialed. I’m 100% sure I’m at least 5% faster. Or at least look faster. The tailored race fit adds to the superhero profile – Leatt’s race fit looks sharp, but if you find you put on weight in the offseason, you may want to size up. 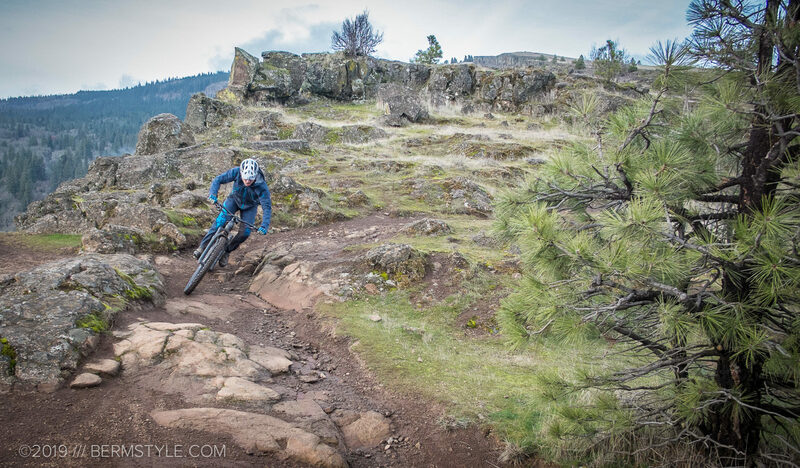 I typically run a small top in offerings from Troy Lee, Dakine, Zoic and others. The race fit medium Leatt jersey fits me like a small from these other brands, so no slouching is allowed. 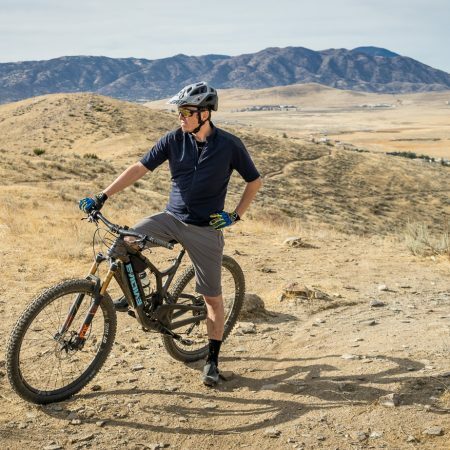 I touched on the Leatt race fit in our jacket and short review already, so I won’t go into it again, but typical of cycling clothing, you’ll want to try on if possible and your personal preferences will play a lot into what size you go with. Up and close with the DBX 4 pant. 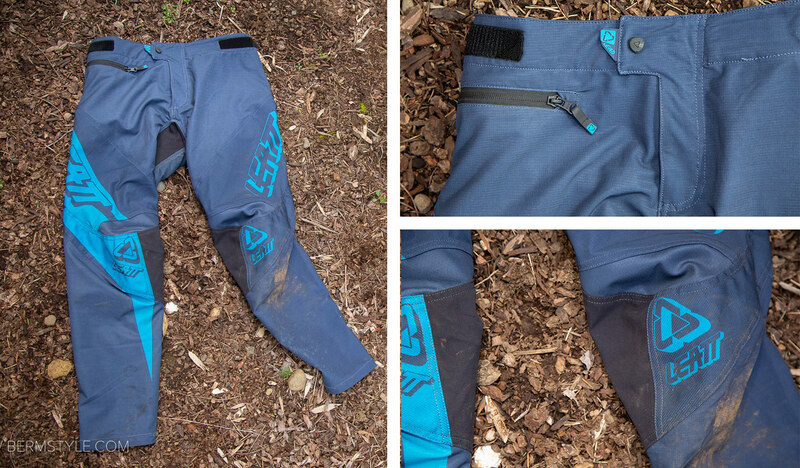 The DBX 4 pants have significantly more stretch than the matching Leatt short. Thanks to the give in the materials they have an expanded range of mobility, And while they’re not waterproof like the hardshell short with HiDri, they’ve been good for keeping moisture from wet terrain out thanks to a dirt, water, and stain resistant coating. 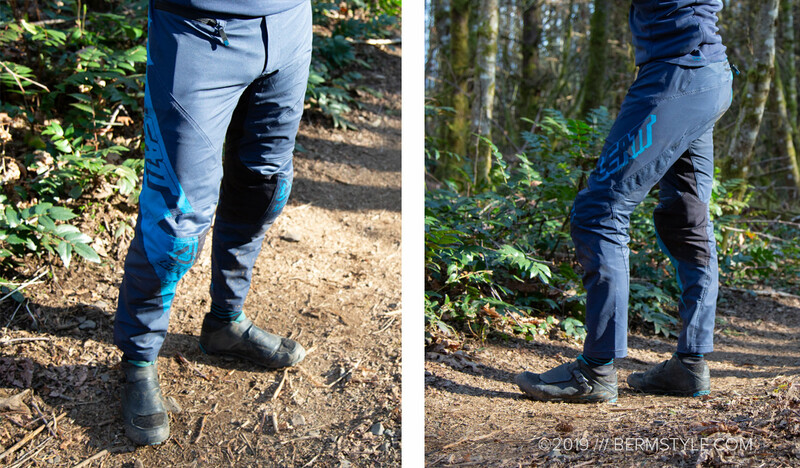 In comparison to the Fox Attack Water Pant recently reviewed, they’re a bit more fitted in the rear and thigh without the baggier look of the Fox pants. 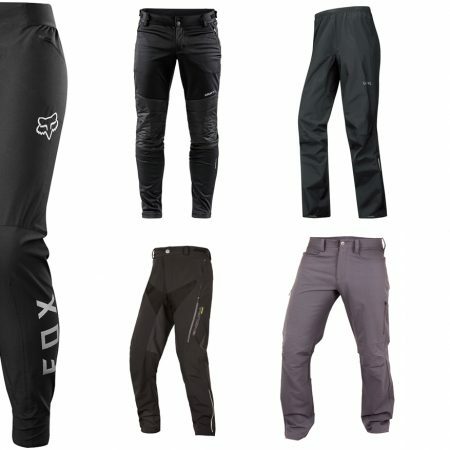 For that inevitable comparison: Fox did a great job making a comfortable pant – they’re close in the comfort & functionality department, but Leatt takes the win with the aesthetic. 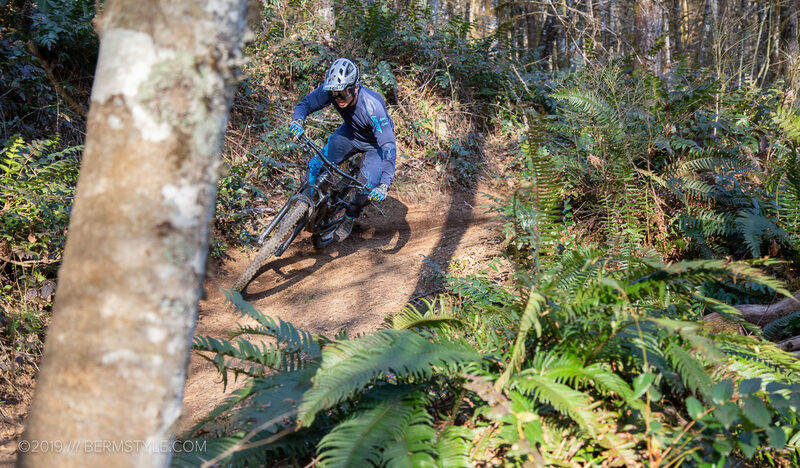 Syncline riding session, wearing the DBX 5.0 jacket and jersey with the Leatt Pants. I was a bit warm. In comparison to the DBX shorts, the pants are far more comfortable. Of course, they aren’t as water resistant as the seam taped waterproof short. That said, for the riding we do in the winter I love riding in pants. For some reason I’ve been riding in shorts for the last few years; pants are too big, hot and bulky for trail riding, right? Turns out, for the wet and cold winter conditions pants are freaking amazing. The best part is when you’re done riding, you just peel them off and your legs and knee pads are mostly clean. Wipe off the sweat, air out the pads (maybe add some Febreeze to those pads) and you’re off to the rest of your day. This is a huge bonus. I’ll also be running them whenever poison oak rears its ugly head. Additional protection for the legs — yes, please. 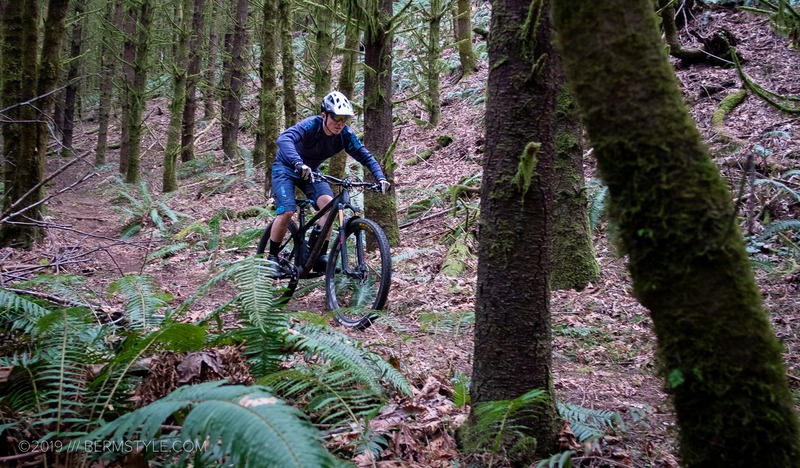 The Leatt 4.0 pant easily accommodates knee pads and they have plenty of stretch to move with your legs. The taper at the ankle keeps the cuff snug and the pant out of the way. Though I can see them being a bit too warm for pedaling when summer hits, I’ll continue to rock them on lift assisted trails. The locker hook is a nice touch for airing out the pants post ride. I do have a small niggle; while they’re a step up from other DH/ BMX pants I’ve worn thanks to having pockets, the single zipper pocket on the right should be mirrored on the left. There’s a second zipper pocket on the back, but as I often wear a waist pack, it defeats the purpose of that rear pocket placement. (I do love the rear locker hook though) I really don’t want a hard tool there in the event of a crash either. A lot of BMX and DH pants don’t have pockets at all, so two pockets is worlds better and technically an upgrade, but you won’t find me wearing pants or shorts without a pocket anyway — pockets are non-negotiable for me. The Leatt 5.0 jersey lists for $74.99. The DBX 4.0 pants are $99.99. Check them out at Leatt.com or support the site by getting yours on Amazon.com via our affiliate links.